As we head into deferred recruitment season I know a lot of sorority chapters are closely watching their “Dream Team.” Sorority recruitment “Dream Teams” are those small groups of women that chapters already know pretty well going into spring recruitment, and because they already know them (and are comfortable around them), they start to obsess over them. You get the picture. We have been spending the entire fall semester carefully looking for and creating friendships with all of the first-year women who ‘we know we want,’ or who ‘we know want us.’ BTW, the way we do this is sometimes completely creepy… we have scrapbooks of all the girls we love and all of the times we have talked to them awkwardly prepared in a diary type notebook. What I mean to say is that we get so focused (borderline obsessed) on the 20 women on our Dream Team that we forget about the other bazillion PNM’s going through recruitment! Worse yet, we don’t realize the importance of getting more women INTO recruitment when we have a chance to do so (now). There is so much talent in each PNM group, and sometimes we get so laser focused on the people we think we want that we forget to get to know all of the amazing PNMs we don’t already have a rush crush on. The hidden talent — the PNMs that will make our chapter and our members better with their membership, but who we haven’t met yet… they’re like recruitment ninjas. Sneaking around with all this power to do good in our sorority, but completely incognito. There are so many ninjas going through your recruitment process you would be shocked. 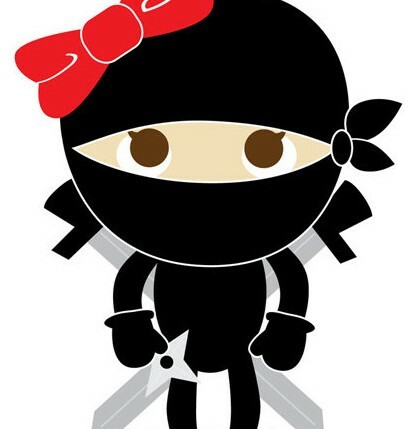 In order for us to identify if a woman is in fact a recruitment ninja, or someone who would make an excellent member if we could only unmask them, we have to be truly curious about them. We need to ask questions and listen to what they say (and care!). The topics we discuss with her must be deeper than surface-level, because her obsession with macaroni & cheese paired with her love of Ryan Gosling will not tell us if she will always show up to chapter meeting. If you want the best pledge class, if you want the best women to join you, if you want the biggest pledge class… you have to stop only focusing on who you know already, and grow your network of real relationships. If you want to find the true talent in formal recruitment this spring, don’t laser focus on the handful of women you want, instead take a good hard look at every woman who walks through your door… that is where the real, sneaky talent is. Those PNM’s are the ninjas.